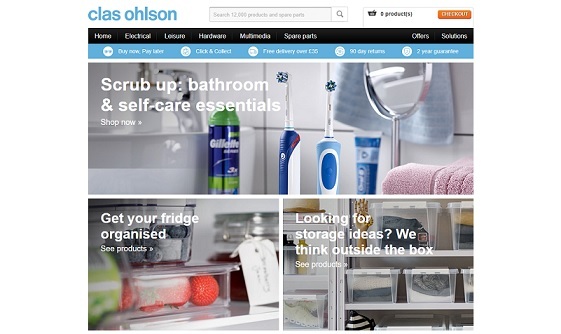 Sign up for free and just shop with Clas Ohlson as normal. Our average member earns over £300 cashback a year. Clas Ohlson cashback can be earned simply by clicking through to the merchant and shopping as normal. Clas Ohlson Cashback is available through TopCashback on genuine, tracked transactions completed immediately and wholly online. Clas Ohlson have been offering customers useful products and solutions since 1918, and have thousands of practical items which will help you solve everyday problems. You will find great products at tempting prices, whether you are shopping for items for the home, electrical products, hardware for your DIY project, multimedia solutions, leisure and garden essentials or audio and computer accessories. Whatever you need, they have thousands of useful products from big-name brands such as Philips, Bosch, Black & Decker and Morphy Richards. Your shopping experience will be enhanced by the fact they offer a two-year guarantee on all products (unless otherwise stated) and various delivery options, while you can also choose click and collect and pick your items up from a UK store in Reading, London, Manchester, Liverpool, Kingston-upon-Thames or St Albans. You can also choose to buy now, pay later if you want to spread the cost. 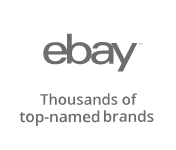 Check out their offers page for sale items, while if you love saving money, you should get yourself signed up to TopCashback and earn yourself some cashback, while we may have Clas Ohlson discount codes from time to time. Your home should be packed with practical items and solutions, and Clas Ohlson can help ensure that is the case, with products available for every room in the house. From kitchen appliances to home office equipment and bathroom accessories, they have all of your needs covered. If you need some new electrical items for your kitchen, you can choose from toasters, blenders, kettles and coffee makers, while their food preparation and storage solutions include cookware, scales, utensils and glass containers for cooking hot food. If you are hosting a dinner party, they stock dinner sets, cutlery and more, while when it comes to cleaning up afterwards, you can save yourself hours with a robotic vacuum cleaner, spray mop or window vac. Give your bathroom a makeover with some new towels or furniture, while you can kit your home office out with a shredder, notice board or some new stationery. Their home furnishings collection includes cushions and candles, while you will also find seasonal items like Clas Ohlson Christmas decorations or Halloween treats. If you want to treat yourself, they have health & beauty products which will help make sure you look your best, including electric toothbrushes and body care accessories, while you can look after your clothes and shoes with irons, lint rollers and more. Shop for accessories like glasses watches and wallets, while if you have a passion for art, they also sell paints and canvases. When it comes to electrical items, Clas Ohlson are full of bright ideas, whether you need help with wiring, lighting or anything else. Secure your home thanks to their range of alarms and detectors, while you can ensure you are warm or cool enough with their selection of climate control, heating and ventilation products. Take a look at batteries and chargers for everyday gadgets which will ensure you stay connected, while they also sell various mains, data and coaxial cables, plus socket splitters and extension cables. Discover torches, LED and halogen light bulbs, lamps and light fittings, while if you are interested in home automation, they have smart solutions which will turn your lights or heating on and off from your smartphone or tablet. Browse electrical installation essentials such as switches, wall sockets and other wiring supplies, while the Clas Ohlson range also includes everything from thermometers and weather stations to solar panels, energy meters and timer plugs. If you love to spend your spare time cycling, fishing, gardening or going off on holiday, Clas Ohlson can help ensure you have a great time, whatever the weather. If you are looking for outdoor living essentials, they have everything you could want to create a comfortable space at home, including seating, decorative garden lights and barbecues, while if you are a keen gardener, you can treat yourself to a new lawnmower, some garden tools or plant pots. Keep the kids entertained with outdoor games and toys, including drones, remote control cars, construction sets and sledges, while you will also find pools and baby essentials such as car seats. If you enjoy camping, they have tents and sleeping bags, as well as stoves and rucksacks, while they also stock everything for your bike, such as lights and pumps. If you love to live life on the water, meanwhile, get your hands on life jackets and boat fittings, while other sport and fitness equipment available includes weights and supports. Search for travel accessories such as suitcases and adaptors, while you will also find items for pets. Whether you are planning a big renovation project or just need some tools for those small DIY tasks, you will find a great selection of hardware on the Clas Ohlson website. Pick up everything from hand tools and power tools to safety equipment which will make your task that little bit easier. No matter if your project involves building, plumbing, decorating or maintaining your car, you will be able to get your hands on everything from nails, tape and ironmongery to compressors, locks, wallpaper adhesive or a mixer tap. Discover workbenches and storage solutions for all of your tools, while whatever hardware you are looking for, make sure you save with our cashback deals and see if we have any Clas Ohlson discount codes. You will find hundreds of useful products in the multimedia range, including everything from Bluetooth speakers and wireless headphones to ink cartridges and gaming accessories. Their audio range includes stereo systems, radios and mini voice assistants from the likes of Sony, Google and Skullcandy, while if you take a look in their photo & video section, you will discover instant cameras, action cameras and dash cams. Shop for mobile phone holders, chargers and cases or pick up memory cards and hard drives, as well as smart home items such as video doorbells and security cameras. Clas Ohlson stock printers and scanners from leading brands like Canon, while you can also stock up on photo paper. Drivers can buy Garmin sat navs or GPS trackers, while their wearable technology includes fitness trackers. Their range of TV accessories includes Google Chromecast media players, remote controls and wall brackets, while if you are in need of some computer accessories, they have keyboards, webcams, gaming headsets and much more. Shop for stylus pens, sync cables and earphones for your tablet, while the musical among you will discover instruments and studio equipment. Clas Ohlson also stock a wide range of spare parts should you be in need of a replacement. Discover electrical spare parts such as light bulbs, transmitters and power supplies, while if it is hardware spares you are looking for, you will find tool bags, saw blades, vacuum cleaner hoses, shower heads and much more. Their range of multimedia spare parts includes mobile phone batteries, USB cables, aerials and chargers, while you can shop for spare parts for the home too, whether you need a blender knife, new glass turntable for a microwave or a water filter cartridge. If you love spending your leisure time outdoors, you can pick up a new roof for a gazebo, a replacement lamp for your parasol heater or electric bicycle battery. Search for a specific spare part or the product you need it for, while if you are having trouble, fill in a request form and they will get back to you. Clas Ohlson was a businessman who had a passion for technology and innovation, and he founded the company in Sweden in 1918. His older brother had a bicycle shop, but when he died in an accident, Clas took over the business in 1914. Fours years later and Clas Ohlson & Co was launched, with their first catalogue selling DIY assembly drawings. He built new offices and moved in there with his family, while the building was also home to the first Clas Ohlson store. By 1925, the catalogue contained more products than drawings, while he renamed the business Clas Ohlson in 1944 and sales rocketed. The 1980s saw turnover exceed one hundred million Swedish crowns, while they opened a store in a Stockholm shopping centre. This proved to be the launchpad for an extensive store network, which included the very first to be opened in Norway. With Clas having passed away, 1996 saw the company begin ecommerce operations with the launch of their online business, while it was listed on the Stockholm Stock Exchange. The new millennium saw them launch a loyalty programme and a platform for e-commerce, while their 200th store was opened. The brand launched in the UK and Germany, and other key locations in European markets on their way to becoming one of the strongest retail companies in Sweden. They now have more than 5,000 employees in six countries. Browse thousands of home products and services aimed at solving practical problems at Clas Ohlson and earn cashback on purchases with these fantastic deals. Their homeware range includes everything from pots, pans and kitchen appliances to storage, bathroom accessories and office equipment. If you are looking for electrical essentials, their extensive collection includes batteries, chargers and cables, as well as light bulbs, torches and alarms. Clas Ohlson also sell leisure goods, whether you are searching for garden furniture, sports equipment, bicycles or pet products, and offer hardware items like power tools, fireplaces, paint brushes and plumbing equipment. If you like to keep up to date with the latest tech products, meanwhile, they sell audio equipment, as well as mobile phone, tablet, camera, TV and computer accessories. 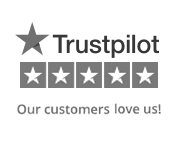 They offer free standard delivery on orders over £40, while you can click and collect from store free of charge.